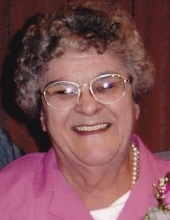 Mabel E. Card, 87, resident of Goffstown, NH died on January 9, 2019 at Hillsborough County Nursing Home, Goffstown, NH. She was born in New Ipswich, NH on November 14, 1931, a daughter of Gerald and Bertha (Maxwell) Putnam where she was raised and educated. Mabel and her husband raised their family in New Ipswich until 1976 and later moved to Mont Vernon, NH. She had been employed as an LPN at Friendship Manor, New Ipswich. She enjoyed gardening, canning, baking and working on various crafts. Her greatest love was spending time with her family. She was predeceased by her husband, Paul F. Card, Sr., who died in 2013, a daughter, Kathleen Mary Card and a grandson, Joshua Brian Card. Family members include four children and their spouses, Diana Markham of Dover, NH, Colleen and Fred Pirelli of Amherst, NH, Paul F. Card, Jr. and Laura Card of Center Barnstead, NH, Mike and Lori Card of Milford, NH; 16 grandchildren; 23 great grandchildren; a sister, Marilyn Mitchell of Jaffrey, NH; two brothers, Wallace Putnam of Goffstown, NH, Richard Putnam and his wife, Sylvia of FL and NH; many nieces and nephews. Memorial visiting hours will be held on Saturday, January 26, 2019 from 2:00-4:00 pm in the Smith & Heald Funeral Home, 63 Elm Street, Milford. A graveside service will be held in the spring. "Email Address" would like to share the life celebration of Mabel E. Card. Click on the "link" to go to share a favorite memory or leave a condolence message for the family.